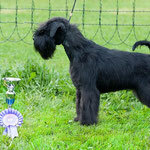 On 17th of May in Vantaa was held all-breed pyppy show. 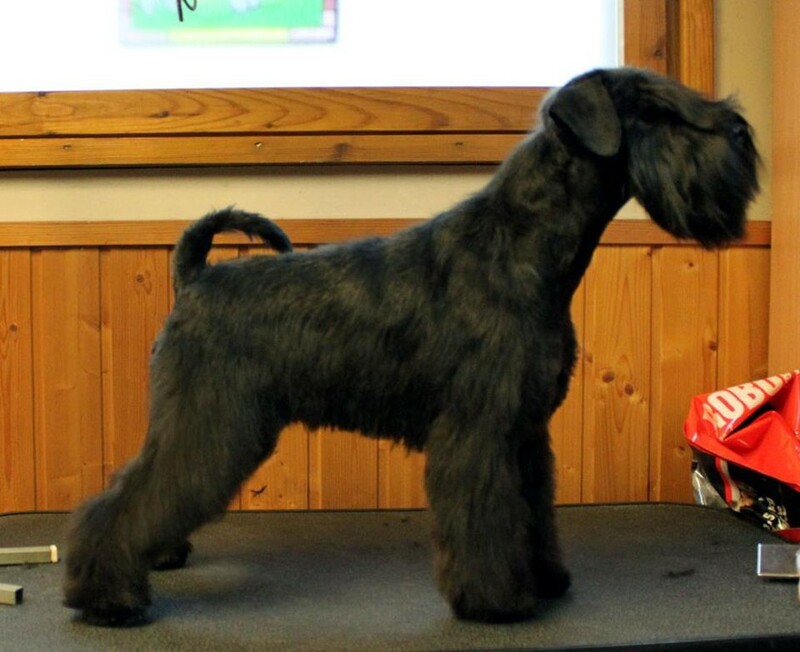 Judge for miniature schnauzers was breed specialist Marianne Holm. 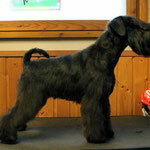 Our yongster Nouzer's Magical Black (Maggy) took part in puppy show where she became BOS puppy. 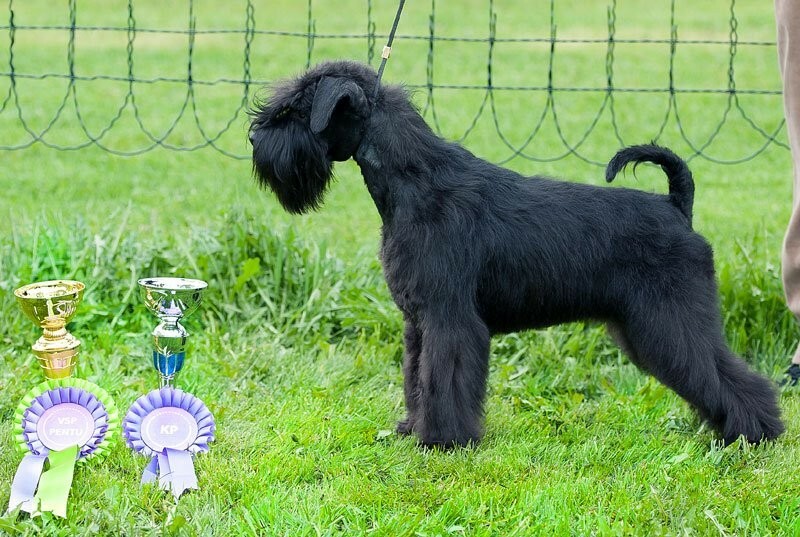 Her brother Manu (Nouzer's Moonlight Black) was BOB-puppy and 4th in Best Of Group competition. Congratulations to owners and breeder! Here are couple pictures of Maggy.